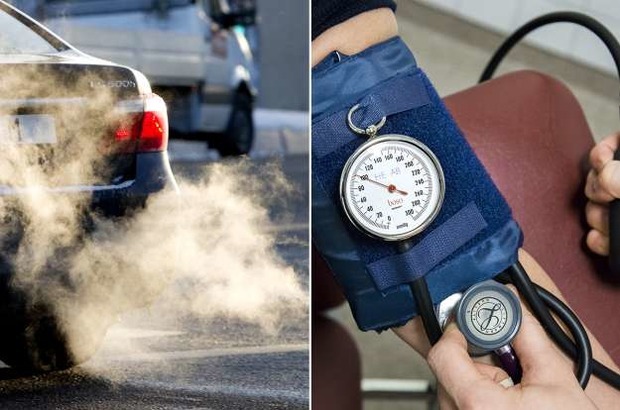 Long-term exposure to air pollution increases the risk of high blood pressure. This was the conclusion of a large European study that also included data from Sweden. The results showed that cleaner air can reduce the rate of mortality from cardiovascular disease. A new large-scale study has demonstrated a clear relationship between emission particles and high blood pressure. Photo: T.T. Several previous studies have demonstrated a relationship between small particles in polluted air – known as PM2.5 – and increased mortality from heart disease. Now researchers are also able to show the mechanism behind this phenomenon. Scientists from five European countries, including Sweden, have succeeded in demonstrating a clear relationship between small particles and high blood pressure. Hypertension, for its part, is the single most significant risk factor in premature hospitalisation and death, especially with regards to cardiovascular diseases. Therefore even small changes in blood pressure can have enormous consequences for public health. The authors concluded that the elevated risk associated with air pollution is equivalent to suffering from a BMI obesity score between 25 and 30. “This is a large-scale, interesting, and important study with a more scientifically sound design than previous studies. It provides additional support for taking a serious look at airborne particles,” says Professor Göran Pershagen of the Institute of Environmental Medicine at the Karolinska Institutet. Pershagen is one of the co-authors of the study, which has been published in The European Heart Journal. The results suggest considerable health benefits may be achieved by lowering the amount of air pollution in Europe. The researchers followed 41,072 people living in Sweden, Norway, Denmark, Germany, and Spain. In Sweden, a group from Kungsholmen with high exposure to air pollution was included, along with another group from suburban communities outside of Stockholm with lower exposure. “Sweden and the other Scandinavian countries all have less air pollution than continental Europe, but downtown Stockholm was closer to countries outside of Scandinavia when it came to certain types of air pollution in the present study,” added Professor Pershagen. During the follow-up period of five to nine years, 6,207 of the participants developed hypertension. The risk of being affected rose in line with increased exposure to small particles known as PM2.5. The findings also revealed significant negative health effects even at concentrations of PM2.5 that were far below the EU’s current maximum limit of 25 micrograms per cubic metre. The World Health Organisation (WHO)’s target benchmark for PM2.5 is 10 micrograms, but in Kungsholmen an elevated risk was observed even under that level. Researchers also examined the relationship between hypertension and noise pollution and found a slight correlation. In people exposed to night-time traffic noise above 50 decibels, the risk of high blood pressure was 6 percent higher than in those exposed to traffic noise below 40 decibels. While air pollution is primarily believed to affect the inflammatory process, noise pollution is believed to be related to effects on the central nervous system and the stress hormone cortisol. The study was carried out with support from organisations such as the city of Stockholm, the Swedish Environmental Protection Agency, the Swedish Research Council, and The Swedish Heart-Lung Foundation. 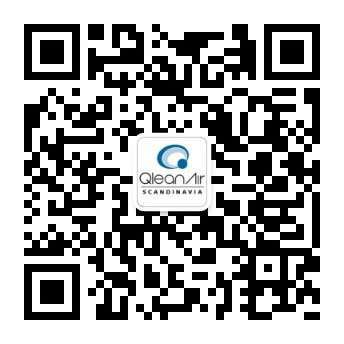 Air impurity particles can be classified by their various sizes, such as PM10 and PM2.5. PM10 particles can be drawn into the airways, where they can cause respiratory infections. The smaller PM2.5 particles burrow even deeper into the lungs and are small enough to enter the bloodstream. It’s primarily PM10 that’s been the topic of conversation in the current debate about studded tyres, while PM2.5 is mainly present in emissions. According to the WHO, a maximum limit of 20 micrograms/m3 for PM10 and 10 micrograms/m3 for PM2.5 must be exceeded before air is considered to be a health hazard.